Hardcover, 5.75 x 8 in. / 300 pgs / 144 color / 48 bw. Triumphs and Laments celebrates William Kentridge’s (born 1955) monumental frieze, drawn along the banks of the Tiber River in Rome, as well as the performance which inaugurated it. 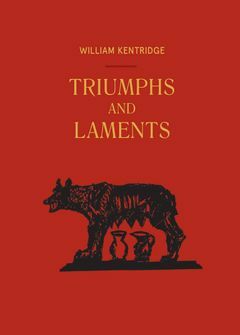 This reprint of Kentridge’s artist’s book serves as an illustrated guide to one of his most memorable and ambitious projects. 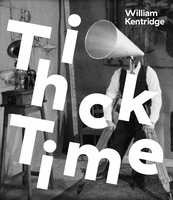 Designed with the early Baedekers in mind, it acts as an essential component to viewing Kentridge’s erased-graffiti figures and to understanding the process of their creation. 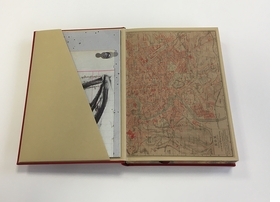 Gatefolds, a poster and a leporello of the frieze are included. The texts, which include a conversation between the artist and Carlos Basualdo, as well as two essays by Salvatore Settis and Gabriele Guercio, explore the meaning of the work and its resonance with the millennia-long history of Rome. FORMAT: Hbk, 5.75 x 8 in. / 300 pgs / 144 color / 48 b&w.